ONE OF US. ONE OF US. Still outnumbered, still outgunned. Enemies swirl around you in a storm of slow motion violence. Battle after battle, each fallen foe pushes you closer to the secrets hiding in the game. You feel obsession setting in. Thankfully, it’s just a game. You can just stop. Πολύ θετικές (230) - Το 86% από τις 230 κριτικές των χρηστών για αυτό το παιχνίδι είναι θετικές. Αποκτήστε άμεση πρόσβαση και ασχοληθείτε με το παιχνίδι καθώς εξελίσσεται. “The single most important aspect of the development of the original SUPERHOT was the amazing involvement of tens of thousands of creative Kickstarter backers, alpha and beta testers. It helped shape and balance the game and drove us to accept no compromises in design. We took that approach with us when sketching the roadmap for a deeper, longer, rogue-like SUPERHOT expansion. That roadmap and story for MIND CONTROL DELETE ended up way more ambitious than we originally anticipated. After a whole bunch of prototyping and ironing out design, we made the choice to make the expansion a fully standalone game - giving us the flexibility to rewrite and reimagine all of the original SUPERHOT's major gameplay systems. We're now over a year into the development of MIND CONTROL DELETE and we’re ready to invite you to join us on this adventure together again. The primary gameplay systems are here. A plan for the upcoming updates is in place. We can't wait to start working with you to guide the development and balance all of our radically cool new gameplay features. Jump in. Co-create the game with us. Talk to us, work with us, and let’s build the biggest SUPERHOT yet together. If you’re not looking for an incomplete game that’s in constant flux and relies on your feedback and creativity to expand, or if you’d rather just play a finished experience that’s guaranteed to challenge and satisfy you and your deepest power fantasies, then we totally recommend you should wait until MIND CONTROL DELETE is out of early access. “If you own the original SUPERHOT on Steam now or buy it while MIND CONTROL DELETE is still in Early Access, you’ll get the full expansion for free once it’s finished and released. Just apply a healthy dose of patience. However if you can’t wait that long, if you want to work with us, and you feel like bravely facing rough edges shaping the game as it develops, then we’ll be thrilled to have you sign your name to a piece of SUPERHOT history and join us in Early Access right now. “You'll join us to chat on Discord and to discuss designs, concepts, and plans on Steam Community and on Reddit. Every content update will be launched in a livestream with the development team. You'll see how the game's built behind the scenes and you'll influence the progress every step of the way. Let's end this week with a nice patch, shall we? 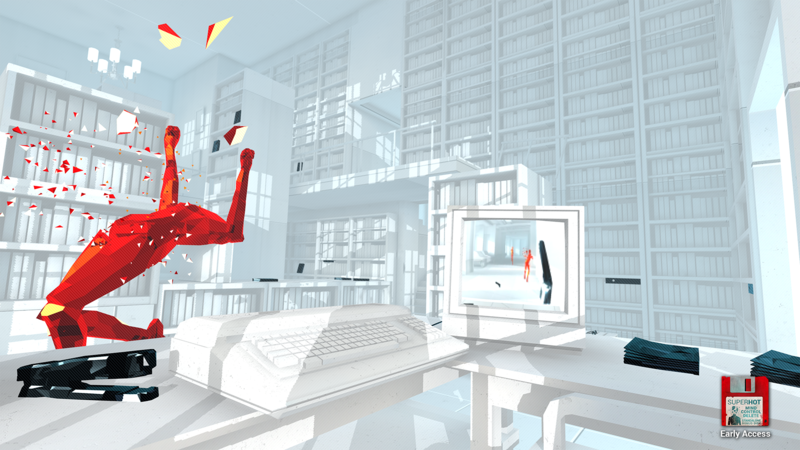 MIND CONTROL DELETE is a standalone expansion set in the SUPERHOT universe. 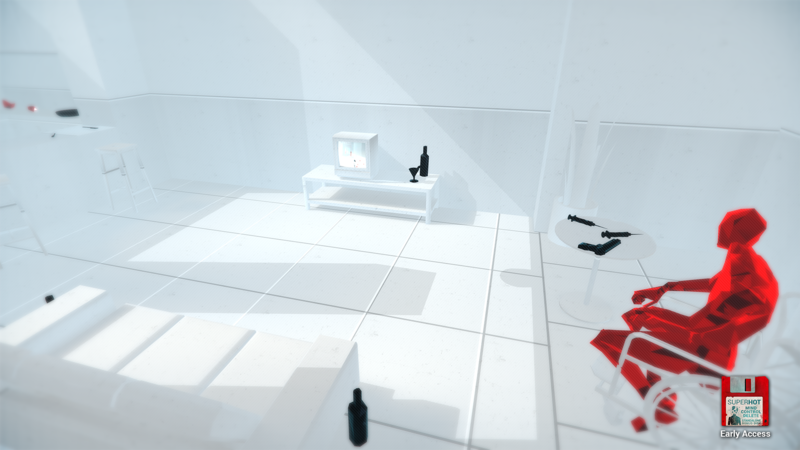 It’s designed as a rogue-lite twist on the linear nature of the original SUPERHOT. In its well proven genre-defining format, SUPERHOT: MIND CONTROL DELETE expands and brings new depths to SUPERHOTs intoxicating rhythm of slow motion combat. It makes you better. It gives you power. The game will force you through dozens of increasingly difficult time-moves-only-when-you-move gameplay challenges. Each of them will make you stronger and bring you closer to the secrets hiding in the system. Closer to making your dreams come true. As you unlock powerful abilities and gain access to new playable characters, so will your enemies grow stronger, smarter and more desperate to stop you. Come and join the fray. Play in Early Access. Let the system learn from you. SUPERHOT rogue-like expansion early access hype! What to expect now? Multiple playable cores, with unique abilities and gameplay modifiers. A kaleidoscope entirely new gameplay levels, putting you through a gauntlet of the first 4-8h of challenges. New animation and AI systems to drive new weapons, abilities, and enemy types. Hitpoint system and massive power-ups to give you that extra oompf needed to crush your enemies and see them driven before you. New enemies to challenge you before you utterly crush them with your unearthly destructive potential. Procedural generated rogue-like runs' baked into the core gameplay loop, telling longer, more complex stories and developing tons more depth in the satisfying skill-based signature gameplay of SUPERHOT. Not all of the story yet – we don’t want to spoil too much too quickly so the next few updates will be all about polishing gameplay. No replay or point system – easy bragging about your insane skills will need to wait. 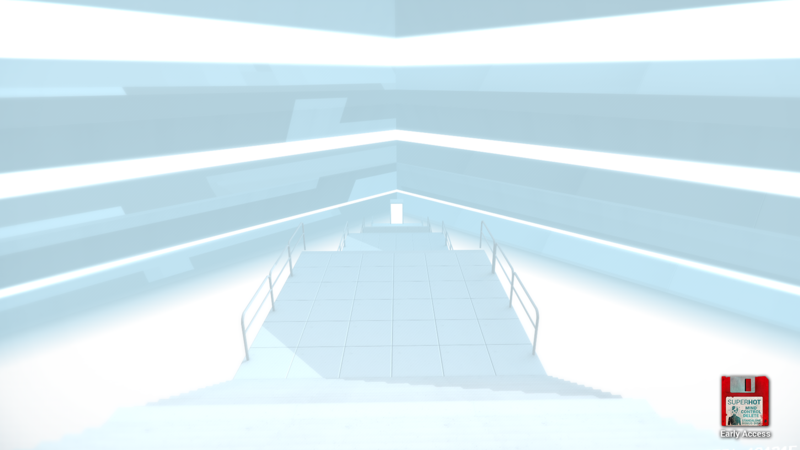 If you’re not looking for an incomplete game that’s in constant flux and relies on your feedback and creativity to expand, or if you’d rather just play a finished experience that’s guaranteed to challenge and satisfy your deepest power fantasies, then we totally recommend you should wait until MIND CONTROL DELETE is out of early access. However, if you’re super brave and want to help guide the development in its earliest stages, then go ahead – join us, and get your name in the credits! Why are you putting MIND CONTROL DELETE in early access in the first place tho? We released the original SUPERHOT in February 2016 after nearly two years of intense creative crunch. The amazing support during the development from our Kickstarter backers and the exhilarating reaction we got from you once the game has been released was simply mind blowing. With morale at an all-time high, we immediately jumped into a flurry of prototyping and refining gameplay and story concepts that we weren’t able to fit into the original game. We tested and put a bunch of them to work in virtual reality, and after releasing SUPERHOT VR with even more outstanding support from you guys, we finally had a road map for the first non-VR expansion ironed out in December 2016. In our usual no-compromise approach to design, we made that roadmap way more ambitious than originally anticipated and we decided to make the expansion a fully standalone game, allowing us to rewrite and reimagine all of our major gameplay systems. The single most important strength of the original SUPERHOT was the amazing involvement of tens of thousands of creative alpha and beta testers that helped us shape and balance the game and drove us to pursue zero compromises in design. Now, while working on MIND CONTROL DELETE, we want to continue this adventure together. We’re inviting you to jump in and co-create the game with us. Talk to us, work with us, and let’s build the biggest SUPERHOT as of yet together. What’s the price tag on this? Is this that free DLC you were talking about? Yup! Way bigger than the usual kind of free DLC though, so it'll take a bit longer to release.  If you own the original SUPERHOT on Steam now or buy it while MIND CONTROL DELETE is still in Early Access, you’ll get the full expansion for free once it’s finished and released. However if you can’t wait to work with us, and you feel like bravely facing rough edges and helping shape the game as it develops, then we’ll be thrilled to have you sign your name under a piece of SUPERHOT history and join us in Early Access right now. 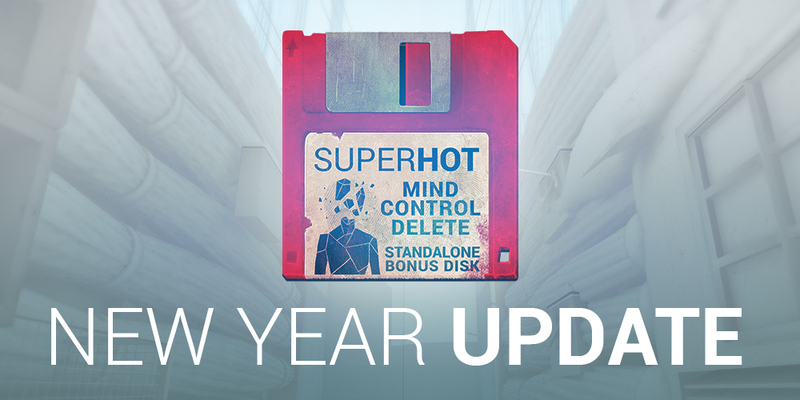 Once MIND CONTROL DELETE releases in earnest, it will be priced same as the other SUPERHOT games for everyone who’s still new to the franchise. Should I buy MIND CONTROL DELETE if I haven’t played the original SUPERHOT? Not right now. The game will be a totally standalone experience in a few updates, but the lack of clear structure and story right now would be confusing for newcomers. Definitely start with the original SUPERHOT though. It’s lots of fun. We’re new to Early Access, but we’re hoping to use your feedback and collaboration to drive and guide the development. We have a bunch of large features in the pipeline that we’re dropping on livestream updates every few weeks, including balance and feature updates released on a monthly / bi-monthly schedule. I really want X in the game, how do I make you want to do X too? The discussions around the game take place on Steam Community, Discord and Reddit groups. Join us, make yourself heard, and rally up your fellow players. We’ll tap into your creative hivemind. We’ll bring your ideas into force. Your mind will make the system stronger. You will be ONE OF US. Want it to even more real? 17 επιμελητές αξιολόγησαν αυτό το προϊόν. Πατήστε εδώ για να τους δείτε.